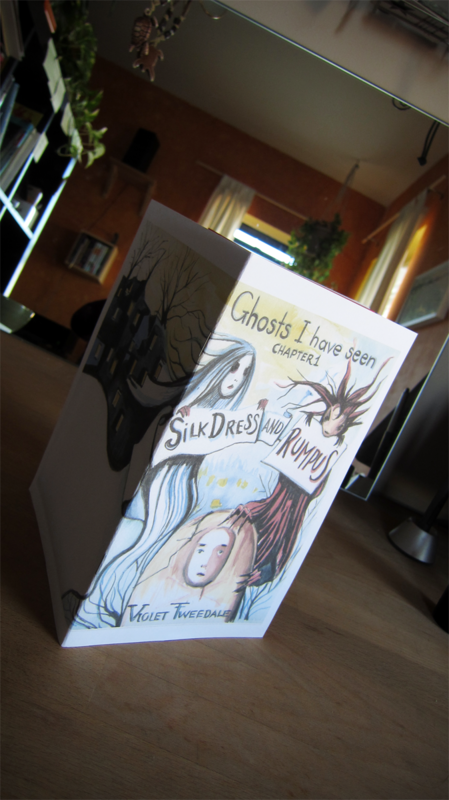 Wherein we examine some unusually delightful books that have lately arrived, bury an important announcement two-thirds of the way down, offer our gratitude to you, the reader, as sincerely as we can, and make a plaintive plea of the national postal service. There’s been a lot of unusual post showing up around here. I opened my mailbox a few days ago* to find the above envelope from Cara Bean. And while there was a photocopied form letter inside the envelope, in this case, the packaging itself was the parcel. 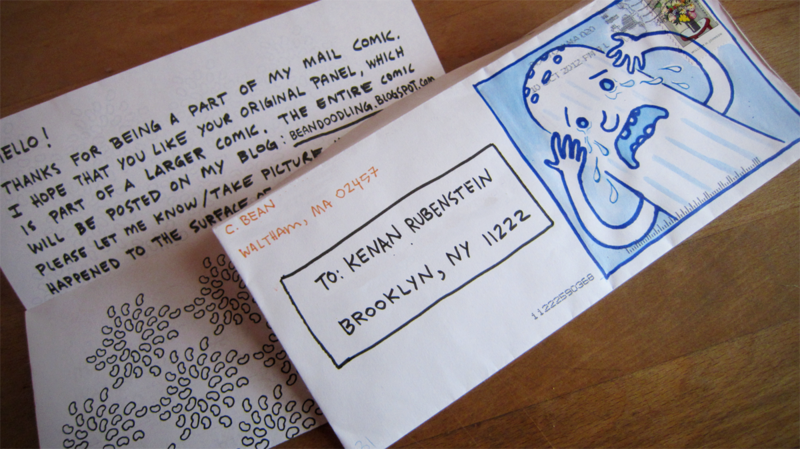 That’s original art on there, one of fifty panels sent out to fifty different recipients around the country, and compiled on Cara’s Blog into “Mail Comic,” a free-form slice-of-life story about the author and an array of animate objects. 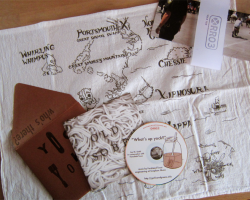 A couple weeks ago, I got an oddly bulgy package from a sender calling itself Regional Relationships. Inside was the latest project from friends/inspirations Neil and Fereshteh, a multimedia exploration of a variable Southern noodle dish called “yock,” among other things. 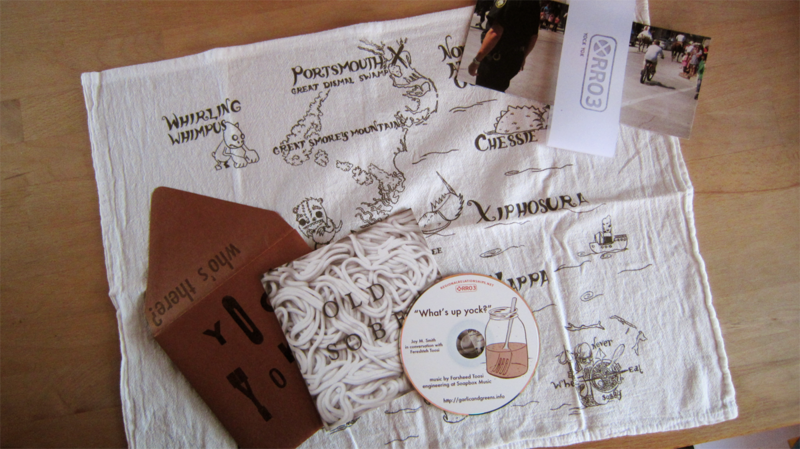 What emerges through an audio interview, a minicomic, and a dishtowel screen-printed with a map of yock’s home terrain is a kind of edible folk song, constructed differently and called by different names from town to town and region to region, boasting countless detailed histories, as sustaining to the cultures that produce it as the individuals that consume it. I love mail from Joseph, not only because his books are charming and delightful, but also because one can never predict with much confidence what’s to be found inside. Not long ago, I ordered his small, criminally underpriced zine collecting lovely personal writing about Cape May (where, it turns out, both the author and I have independently spent much of many of our summers), and received along with it a gorgeous, hand-bound journal constructed out of a disassembled hard-bound book called “Those Curious New Cults.” Needless to say, it is my favorite journal. 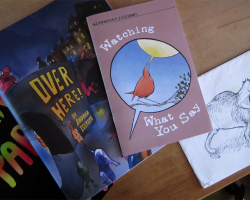 And I’m particularly excited, dear reader, to tell you about the packages I’ve recently received from Andrea Tsurumi and Alexander Rothman, containing their newest masterpieces. Andrea’s, a lavishly watercolored picture-book called “Over Here,” follows three friends on a winter’s night as they explore the flash-frozen canals and fountains of their suddenly transformed city. It is so so pretty. 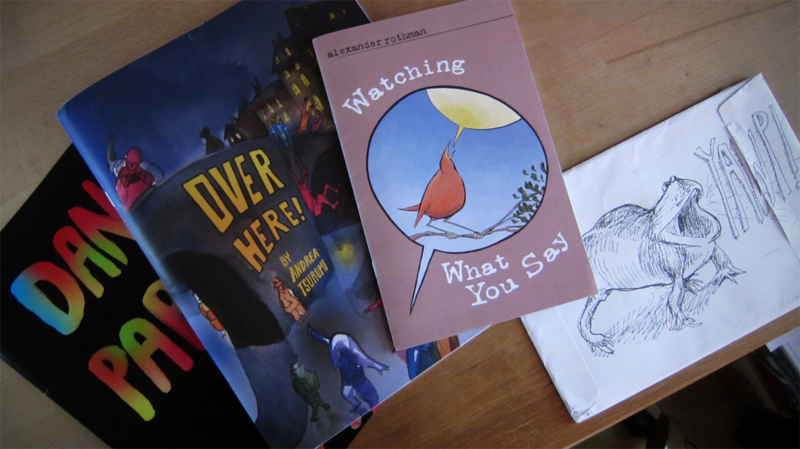 Alexander’s new collection of comics poetry, the slyly-named “Watching What You Say,” is its own kind of revelation. It came in an envelope hand-adorned with a fiercely-rendered amphibian, sounding his barbaric yawp over the roofs of Astoria (you’ll have to click the image to get a proper look at it). Alexander, too, is untranslatable; either his words or images, extracted from the other, would be noteworthy for their elegance and craftsmanship, but together, they are a good deal more than their sum. Sadly, I don’t get to keep these handsome volumes, because I am delivering them to Greenpoint’s beloved WORD bookstore, where they will sit beside Last Train to Old Town’s first chapter on the upcoming events shelf! That’s right, I’ll be joining these two wunderkinds for a joint book-release party, complete with readings and signings and fun, at 7pm on November 29th, the Thursday after Thanksgiving. More details to come, but you’ll probably want to mark your calendars now. 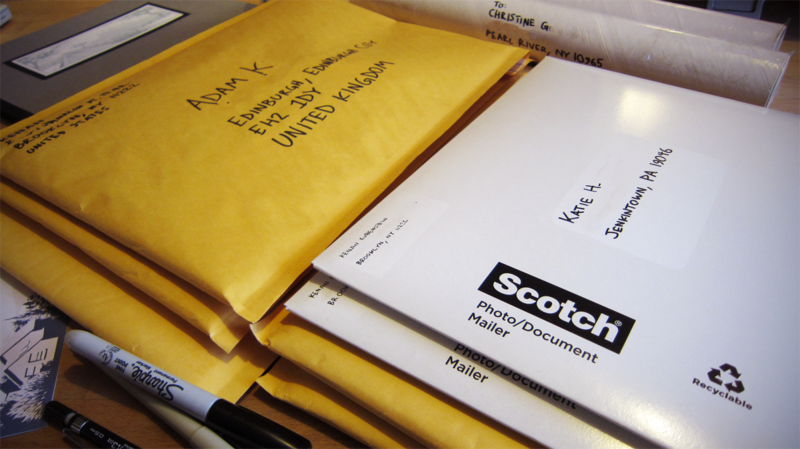 And then, of course, there’s all the outgoing mail. I can’t thank you all enough. Especially for your patience. 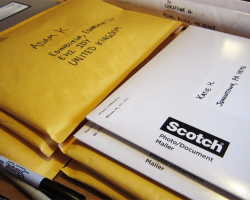 I am gradually catching up with the placed orders, even as they continue to trickle in. 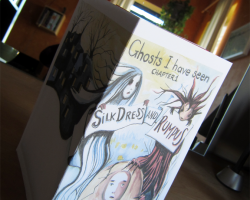 The first run (it was only 50 copies) has sold out, but a 1,000-copy (offset!) run is on the way in the next few days. The good news is that printing so many all at once (assuming I can sell them) will allow me to stop losing money on them (sorta). The bad news is that it costs a whole lot of money, all at once. So. If you’ve been planning on purchasing a copy of the print edition, now would be a great time to do so. There will be a slight delay in shipping, but I will love you forever and call you “hero” right to your face. I know all your flaws, USPS. I love you despite some of them, and because of the rest. Don’t ever leave me.